piper is using Smore newsletters to spread the word online. The Bubonic plague occurred in the early 1330's in China. While it mainly effected rodents, fleas spread the disease to people. It was highly contagious so after a few people got it, it spread rapidly. It causes a fever, and bumps that are first red and then turn black. Also a painful swelling of the lymph glands also called buboes which is how it got its name. At the time, China was one of the world's busiest trading nations, which caused the disease to spread to other places such as western Europe and Asia. 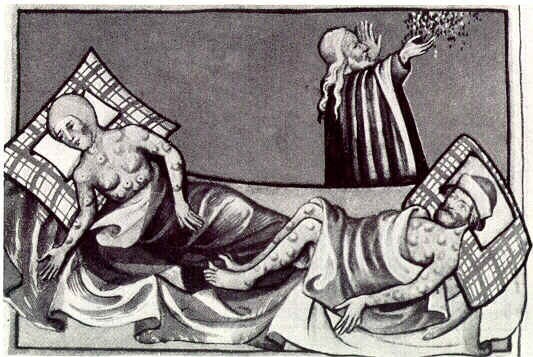 Soon it spread to England where they called it The Black Death because of the black spots it left on people. After 5 years, 25 million people had died from the plague. Even after most of it was over, small outbreaks still occurred & did not disappear fully until the 1600's.